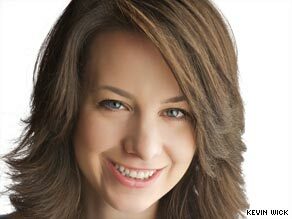 Editor's note: Sarah Hughes won the gold medal in figure skating at the 2002 Winter Olympics in Salt Lake City, Utah, and is a graduate of Yale University. Medalist Sarah Hughes says the Games are about excellence and unity. (CNN) -- What are the first thoughts that pop into your mind when you hear the word Olympics? Probably something synonymous with excellence, greatness, excitement, achievement. Maybe it's the striking image of Nadia Comaneci scoring a perfect 10 etched in your mind, or the experience of following Michael Phelps' quest to win a record-breaking eight gold medals last summer in Beijing, China. Or is it the thrill of watching the 1980 U.S. Olympic hockey team winning the gold medal in Lake Placid, stacked up against unimaginable odds, that occupies that space? I could go on and on, but whatever image the Olympics has for you is probably accompanied by a feeling of pride, happiness, joyfulness, maybe even a childlike glee. Sometimes it's the simple way you can sum up your response to the question -- and perhaps that's the point of asking the question -- but it would be foolish to ignore other aspects of the Games that contribute to making the event happen. Although the presence of public officials at host-city bids shows the International Olympic Committee that they are behind the bid and will be supportive, such appearances are not required. On Friday, President Obama, a Chicago, Illinois, resident for many years, will arrive in Copenhagen, Denmark (his wife is already there), to support and try to persuade the IOC voters in favor of the 2016 Chicago bid. Obama's visit to Copenhagen will make him the first U.S. president to attend an Olympic host-city vote. His visit will not be the first by a president (or prime minister) whose country went on to win a bid for the Games. British Prime Minister Tony Blair and his wife were in Singapore lobbying IOC members for the 2012 Summer Games host-city vote when London was awarded the event. Two years later, Russian President Vladimir Putin went to the host-city vote in Guatemala when Sochi, a relatively unknown city, won the right to host the 2014 Winter Games. The other 2016 contenders vying for votes from the 100-plus eligible members of the IOC are Madrid, Spain; Rio de Janeiro, Brazil; and Tokyo, Japan. Michelle Obama, a lifelong Chicagoan enthusiastically championing the U.S. bid, is displaying her "Olympic spirit." On Monday, the eve of her visit to Copenhagen, she spoke of being ready to woo each voter individually if need be: "Gloves are off. I'm talking to everybody. That's what my schedule looks like." Sounding like an Olympic competitor already herself, she added that she didn't "think there's one person left off." It is easy to come to the conclusion that I might be biased, having won a gold medal in figure skating at the 2002 Salt Lake City Games, but I was an American and a fan long before those Games, and I will be one long after. The memories, unity and patriotism from the Salt Lake Games wasn't about any one particular thing but about all those little "things" coming together: the result of what the participants -- the fans, volunteers, competitors, coaches, moms, dads, sisters, brothers, cities and nations -- created by sharing the best we have to offer with one another. That's what the Olympics are about. They are about greatness, they are about excellence, but above all, the Games are about unity. In a September 10 letter to IOC members, Obama wrote about how he "sees the 2016 Olympic and Paralympic Games as an extraordinary opportunity for America to renew our bonds of friendship and welcome the world to our shores with open arms." And on Friday, when Obama arrives in Copenhagen, he will be joined by Brazilian President Luiz Inacio Lula da Silva, newly appointed Japanese Prime Minister Yukio Hatoyama and King Juan Carlos of Spain. The opinions expressed in this commentary are solely those of Sarah Hughes.